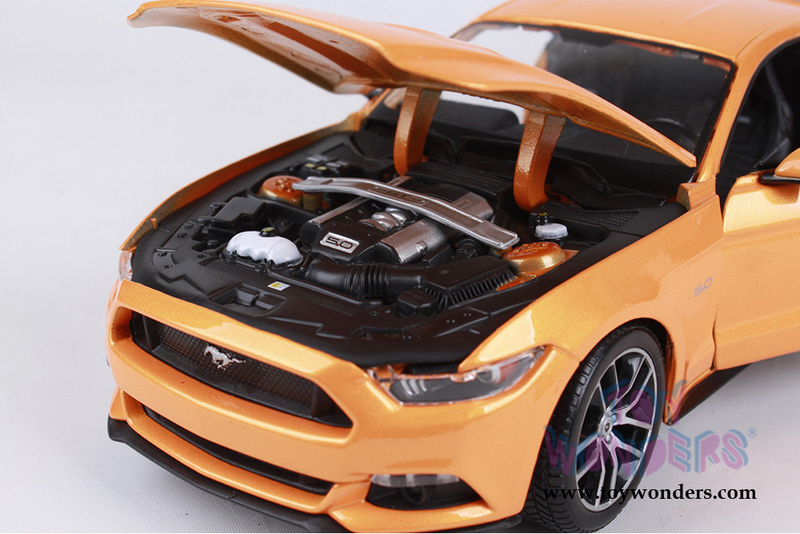 31197OR Maisto - 2015 Ford Mustang Hardtop. 1:18 scale diecast collectible model car. 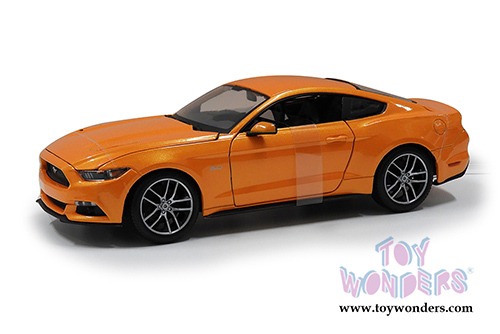 This Ford Mustang is a 9.75"L x 3.5"W x 3"H diecast metal car with openable doors, hood, and trunk. Each individually packed in a window box. Box size is 13"L x 6.5"W x 5"H. 31197 is in ORANGE color. This 2015 Ford Mustang is manufactured by Maisto. 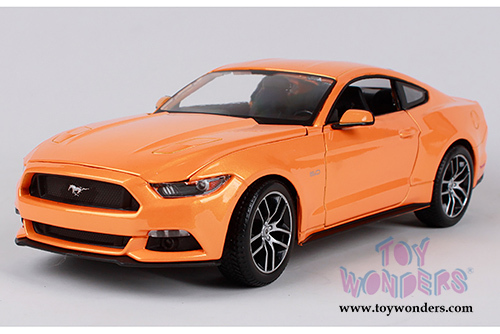 To see more Ford Mustang collector die-cast vehicles (click here). 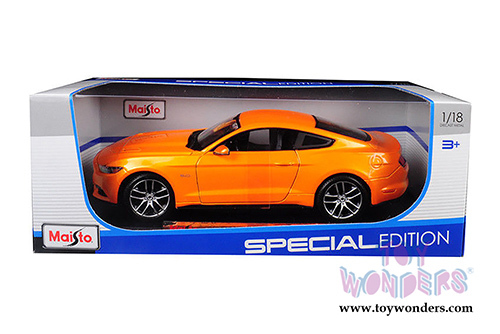 To see more Maisto Die-cast collector vehicles (click here).